Some flavours are classic and timeless like orange and lemon, banana and caramel, cheese and onion the list goes on, one of my favourites especially this time of year when the ingredients are in season is apple and cranberry. Pie is a great food; it can be enjoyed hot or cold, sweet or savoury. 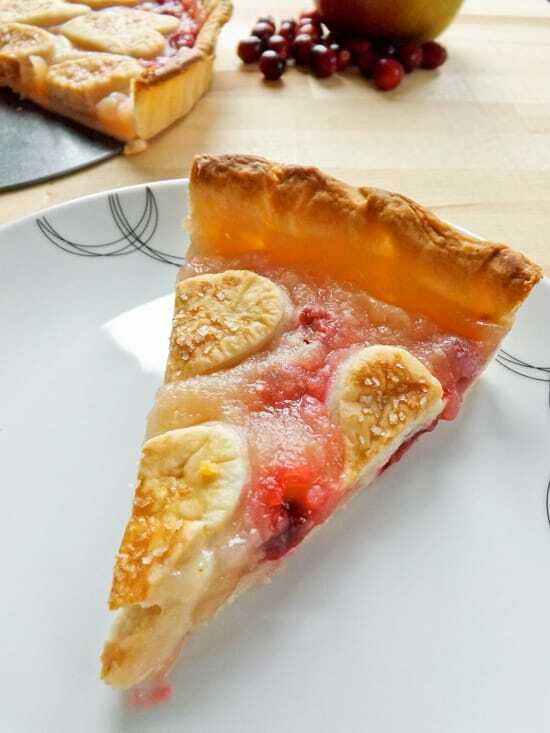 I love a good fruit pie fresh, sweet and actually not all that bad for you, especially the pies I make. I never have the pastry crust very thick and rarely do I put a full pie lid on. As you can see from these images I haven’t given my pie a full pastry lid. Having only a little pastry on top keeps the pie a little lighter but still gives you that little extra crunch when eating. 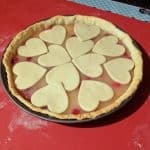 It’s up to you, I have made this pie with a full pie lid, I have made this pie with no lid I have made this pie with a lattice effect and as you can see now I have used heart shapes. 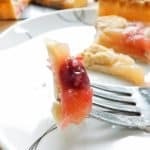 The pastry for this pie is my go to sweet vanilla pastry. It’s a simple basic short crust pastry infused with a little vanilla. You don’t have to add the vanilla it’s a personal choice. I just love vanilla so much even in my pastry. The case is blind baked for a short period of time, before you add your fruit filling. If you want to save time you can always buy a ready-made sweet short crust pastry. As they are in season and I think they cook better than dessert apples I used bramley cooking apples and fresh cranberries. But in summer months I have used dessert apples with great success. I basically just chopped up the apples added some water, a small amount of sugar a squeeze of lemon juice and once cooked down a bit I tossed in some fresh cranberries after I had pierced the skin of each one with a pin to allow them to sweeten up a bit. Thicken it with a touch of cornflour and water mixed (cornstarch) and hey presto you have your fruit filling. The reason I add the cornflour to thicken it is because I find it stops your pastry crust getting a soggy bottom!!! And none of us want a soggy bottom! 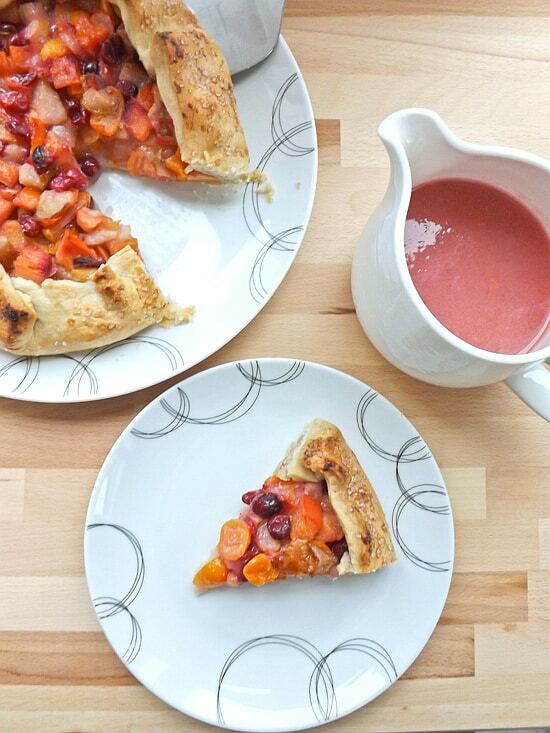 Apple and cranberry pie is a classic combination perfect together and timelessly classic. But what’s your favourite pie filling? 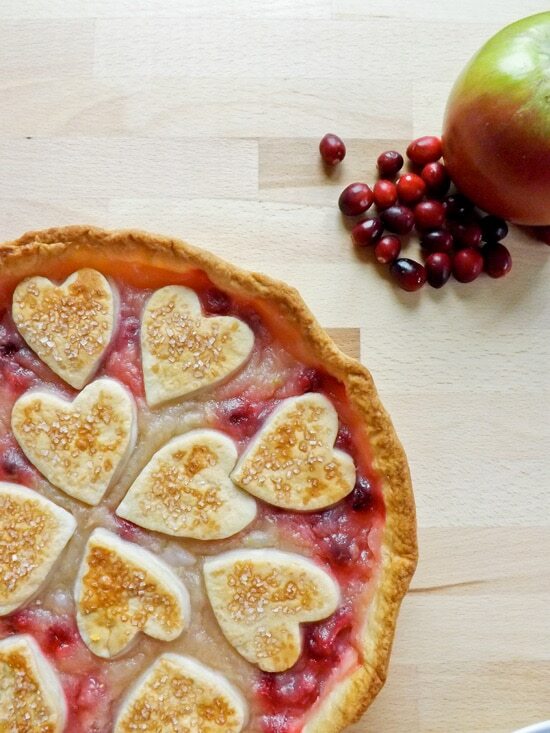 A classic flavour combination of apple and cranberry pie. Eat hot or cold with or without cream or ice cream. Get a 20 centimetre (8 inch) pie dish / flan tin ready, ideally to make it easier for your self it will be non stick and have a loose bottom. If not very lightly grease your pie dish and place to one side. Mix the flour and icing sugar together in a large bowl. Add the cold cubed butter. Using your finger tips rub it in as quickly as possible till it resembles breadcrumbs. Or give it a quick blitz in your food processor. Add the vanilla seeds and give them a quick mix in. And the egg and gently work in, add a dash of milk to bring the whole mix together till a dough forms. Or again give it a quick blitz in your food processor. Empty the dough onto a lightly floured surface, give it a gentle pat and wrap it in clingfilm (Saran Wrap) and place it in the fridge for at least 30 minutes. In a medium sized saucepan add your water and lemon juice together. 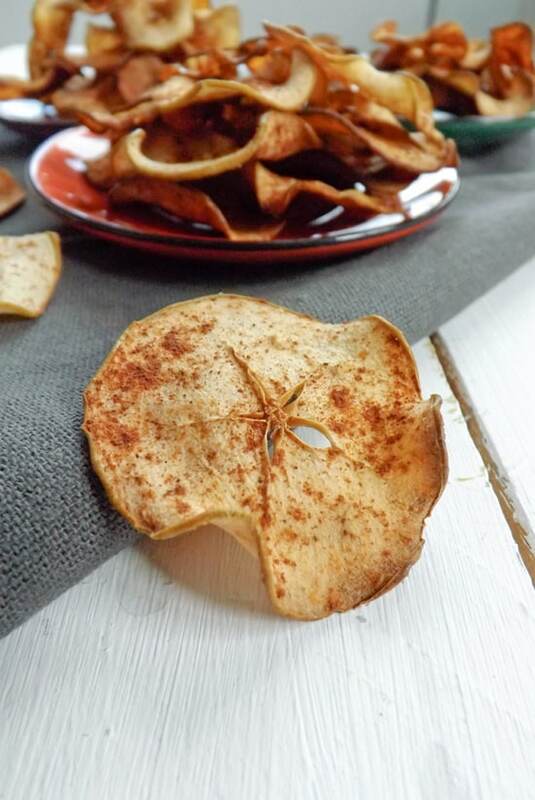 Peel, core and dice your apples into small cubes and put them in the water lemon solution. Add the sugar and place the pan on a medium heat and bring to the boil then reduce the heat and allow to simmer or 7 to 8 minutes until the apples have softened and started to break down. While the apples are simmering wash and then pierce the cranberries with a pin and add them to the apples. Give the apple and cranberry mix a gentle stir, and in a small cup mix the cornflour (cornstarch) and water together till you have milky looking water and add to the fruit mix. It will thicken quickly so take it off the heat and place to one side to cool slightly. Once your pastry has finished resting in the fridge, preheat your oven to 180C / 350F / Gas mark 4 take it and roll 2/3rds of it out on a lightly floured surface until it is just about 0.5 centimetre / 1/4 inch thick and at least 25 centimetre (9 inch) in diameter. Place it into your pie dish / flan tin and push it down into all the corners. 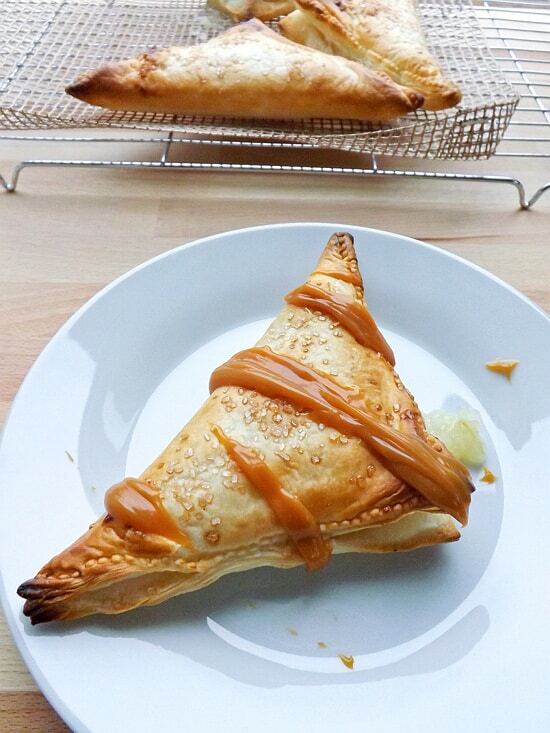 You want a little overhang on the lip as the pastry does shrink during baking. Cover the pastry with a first crumpled and then flattened back out, bit of baking parchment and cover it with ceramic baking beans or uncooked rice. Place in the oven for 10 to 12 minutes. With the left over pastry roll out flat and using a heart shape cookie cutter cut out 12 heart shapes, more if you feel you need them. Or whatever shapes you have decided on. When your pie crust is done, you want it to have a very pale golden colour to it, take it out of the oven remove the ceramic pie beans / uncooked rice and baking parchment. Using a sharp knife carefully sheer off any over hang from the pastry edges. Pour in your filling and arrange your heart shapes on top, brush them with a little milk and sprinkle them with a little sugar. Pop your pie back in the oven for another 10 to 12 minutes. You are looking for your fruit filling to be bubbling slightly and your hearts to have started to turn golden brown. Allow to cool slightly before serving. 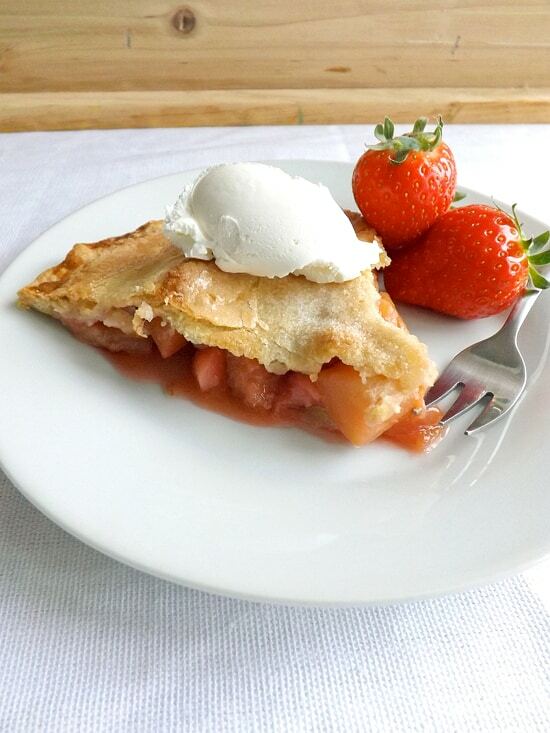 This pie doesn’t need anything added to it but goes well with either cream or ice cream. 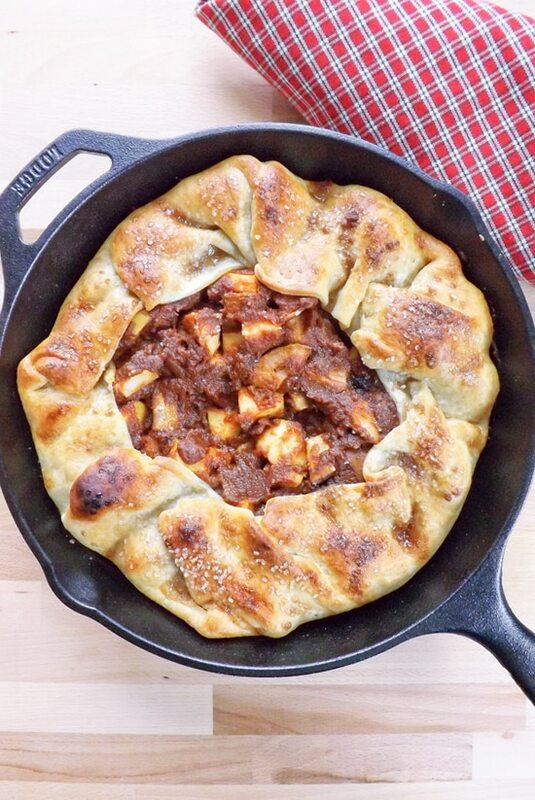 This pie will keep in the fridge for up to 5 days. 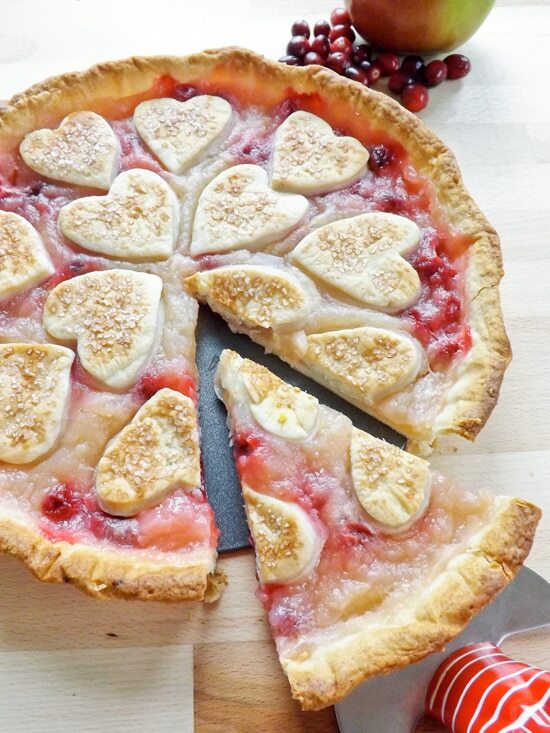 This is one of the prettiest pies I’ve seen. 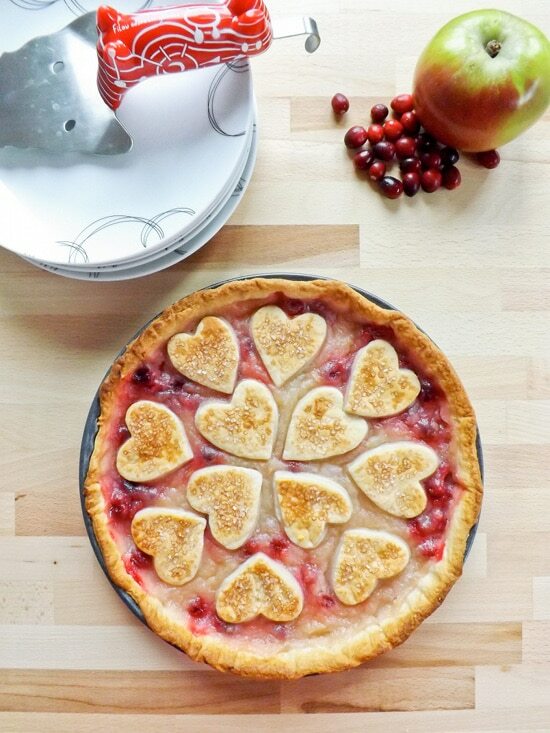 I’ve never thought to put hearts on a pie before and I love the pinkish colour from the cranberries. 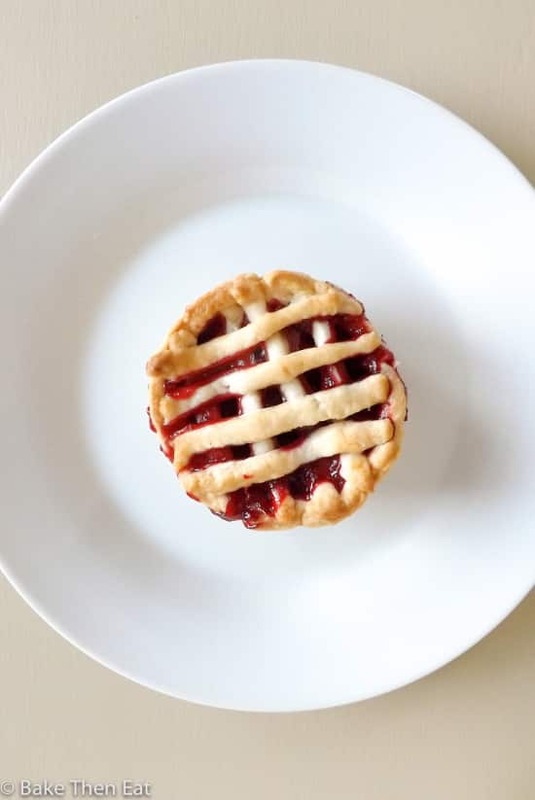 Hi Corina, thank you very much for your kind words 🙂 I love pie but find too much pastry makes it to heavy for me so I like to creatively lower the pastry content while still enjoying a slight crunch on top! This would be lovely to have on Valentine’s Day on the date to impress your partner. Thanks for the post. Hi Harshill, thank you. 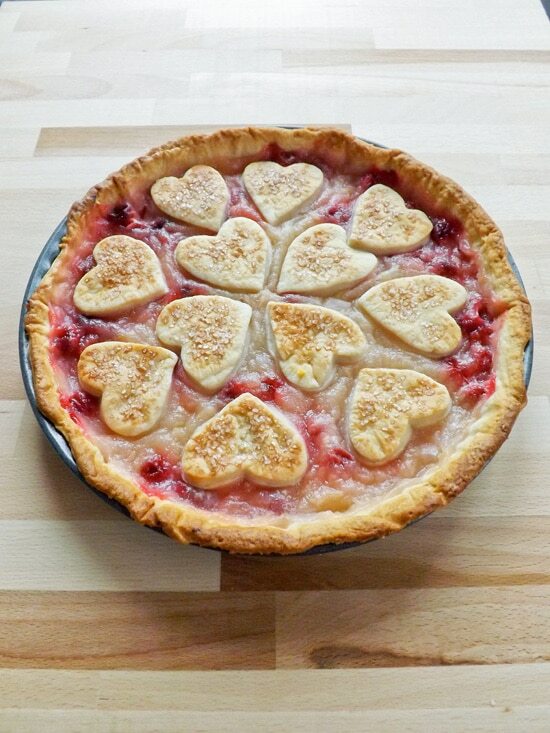 Yes this would work really well for a valentines dessert. I totally love how you decorated this, it’s gorgeous! Hi Pamela, thank you very much I always try to lessen the amount of pastry I put on a pie as all the calories are in the pastry!!! HOW PRETTY!! 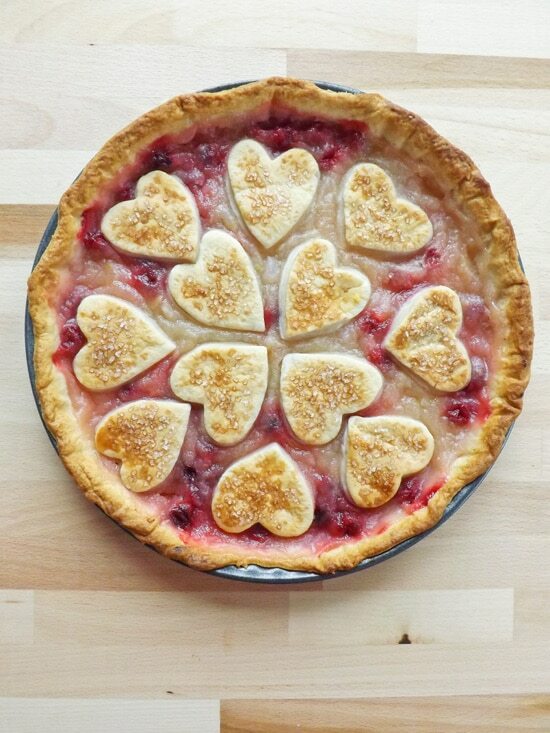 I love the hearts on top of the pie! Wow, what a beautiful pie. I’m definitely a pie lover and this one would take center stage at my place. Apple is definitely one of my favorites! 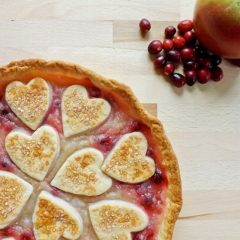 And I love the color imparted by the cranberries, plus your beautiful modified crust AND your vanilla infused pastry! Great post! 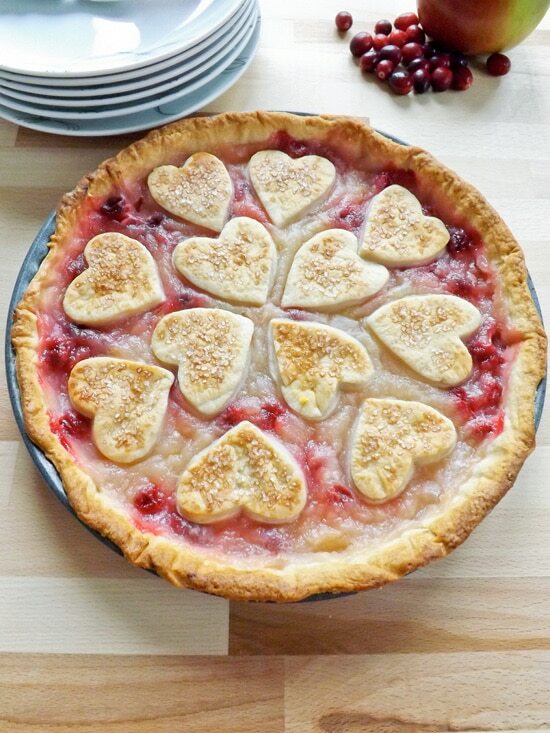 What a gorgeous looking pie Emma! 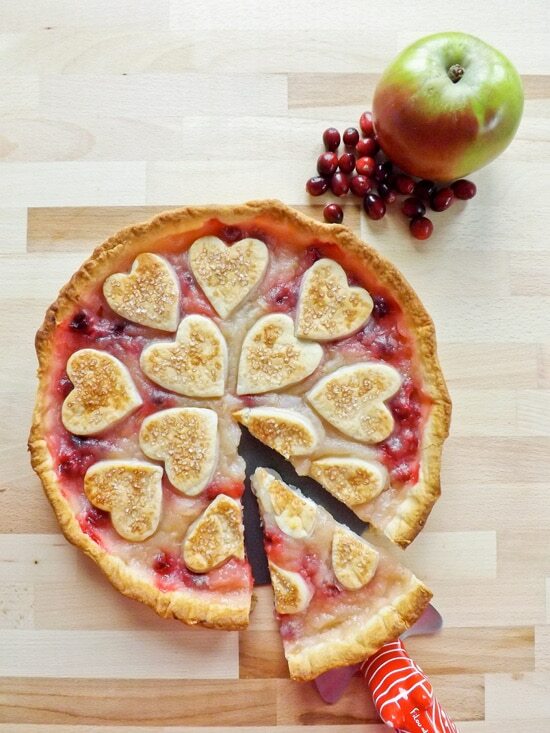 The heart shapes make this look so adorable and great for a Valentine’s Day dessert 🙂 The filling sounds wonderful, I love apple and cranberry together! Awesome recipe, hope you have a great week!